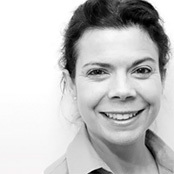 Natalie graduated with a BSc (Hons) in Podiatry in 1999 from Brighton University. Following this she worked for 4 years in Israel concentering on the diabetic foot in the community. She returned to the UK in 2003 to pursue a career in Podiatric Surgery. She completed her PG Cert in Theory of Podiatric Surgery from Queen Margaret University in Edinburgh in 2009. She has gained valuable experience in this field as well as treating all aspects of foot pain, of working in London, Walsall and Portsmouth. She currently works in Brighton in private practice and a part time NHS position for Solent. She has been working with the Advanced Foot Care Group since 2008 with main interest in surgery, biomechanics and the painful foot in both the chronic and the acute phase.